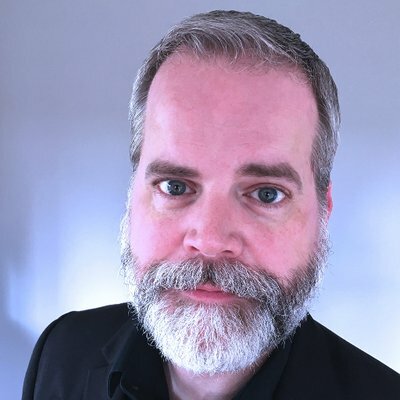 Chris Roberson is the co-creator, along with artist Michael Allred, of the iZOMBIE comics, which are the basis of the hit CW television series, and the writer of several New York Times best-selling Cinderella miniseries set in the world of Bill Willingham’s Fables. He is also the co-creator of Edison Rex with artist Dennis Culver, and the co-writer of Hellboy and the B.P.R.D, Witchfinder, and other titles set in the world of Mike Mignola’s Hellboy. In addition to his numerous comics projects, Roberson has written more than a dozen novels and three dozen short stories. He lives with his daughter, two cats, and far too many books in Portland, Oregon. You can find him on Twitter by following @chris_roberson. Shauna Kosoris: Where did you get the idea for iZombie? Chris Roberson: The inspiration for iZombie largely came from two questions I asked myself. The first was, just why do zombies need to eat brains in the first place? What were they getting out of them? And the second was, would it be possible to tell a zombie story that took place in the modern day and not in some sort of post-apocalyptic setting? Answering the first helped me figure out a way to answer the second! In an interview with Tobias S. Buckell, you said that your brain likes to think up ways of turning odd bits of trivia into stories. What’s the most interesting bit of trivia you’ve ever used for a story? I was still living in Austin, Texas when I was writing the original series, and the stylist who had been cutting my hair for more than a dozen years had recently joined a competitive Skee-ball league. So every time I went in for a haircut, she would tell me all about the latest competitions, and how her team had done, and I was just fascinated by the whole thing. At one point I planned to do an entire story arc built entirely around skee-ball, with Gwen having to take a dead woman’s place and help lead her team to victory, having inherited the woman’s skill at the game. In the end, saner heads prevailed and the whole story was dealt with in a handful of pages. But Mike Allred did a fantastic skee-ball themed cover for the issue, so it was all worth it. That’s super fun! So in 2015, iZombie became a television show – what was that like for you? It was, and remains, incredibly surreal. 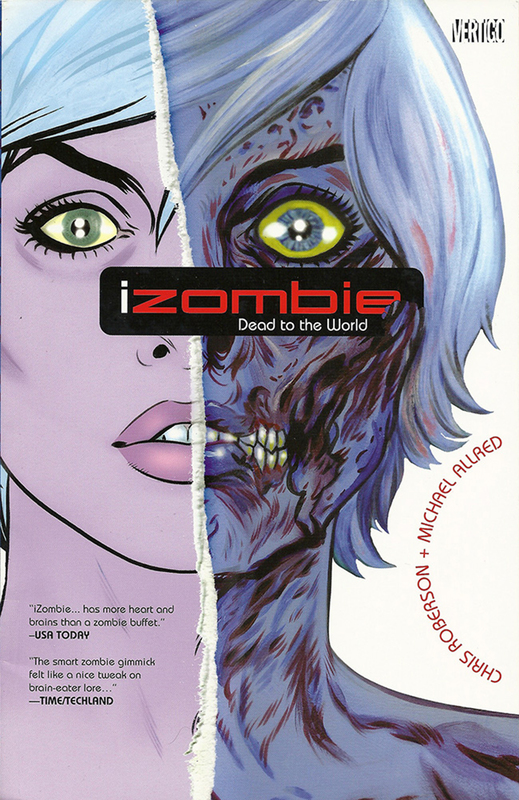 It would be enough if our comic was still well remembered and being discovered by new readers, but for it to have taken on this second life as a TV adaptation, especially one as fantastic as iZombie is, and made by such talented (and friendly!) people, has been a source of continual amazement. Moving away from iZombie now, how did you get involved with Fables? Bill Willingham has been one of my dearest friends for the better part of twenty years, and he asked me if I would be interested in writing a fill-in issue of Jack of Fables. That was my entrée into comics, which I’d been trying to break into for nearly 18 years by that point. My fill-in issue was well received, which led to Bill and his editor Shelly Bond inviting me to write a miniseries featuring the Cinderella character from Fables, and I’ve been a full time comic book writer ever since. Now that you write comics full time, do you still write prose? I still do a bit of both, though largely concentrated on comics. My most recent novel, Firewalk, was published by Night Shade Books last fall, and I’ve recently contributed a short story to a forthcoming Hellboy prose anthology, but most of my time these days is spent writing scripts for comic books. I’ve read that your writing group become the publishing imprint Clockwork Storybook. How did that happen? Clockwork Storybook was originally just four of us—me, Bill, Lilah Sturges, and Mark Finn— meeting up every week to read and critique each other’s latest stories, but in time it grew into an online anthology of urban fantasy, in which each of us wrote stories featuring our own characters that were all set in the same fictional city. This was the early days of Print On Demand (POD), so it was a short step from online publishing to releasing novels and short story collections in POD editions. Bill was already the old pro at that point, but the rest of us were still learning our craft, and I think that Clockwork Storybook played an immense part in helping shape the kinds of writers that we became. Monkeybrain Comics, the imprint that you and your business partner, Allison Baker, launched was originally Monkeybrain Books. Why the switch to comics? Monkeybrain Books was an offset publisher (that is, traditionally printed and bound books, not Print On Demand) that originally specialized in nonfiction genre studies, and then went on to expand into novels, reprints, short story collections, anthologies, and even an art book and an encyclopedia! With the contraction of the bookstore market, around the time that Borders closed up shop, our book sales had dipped to the point where it didn’t make economic sense for us to keep printing traditionally anymore. But it was around that time that Allison and I started thinking about ways in which we could produce and distribute comic books digitally, which led to a partnership with ComiXology and the launch of the Monkeybrain Comics imprint. Most of my time these days is spent writing comic book miniseries set in the world of Mike Mignola’s Hellboy. One series I did in collaboration with Paul Grist, The Visitor: How and Why He Stayed, recently wrapped up, and will be available in a collected edition later this year, and I’ve been collaborating with Mignola and a stellar cast of artists on the continuing Hellboy & The BPRD series, which are Cold War-era adventures set earlier in Hellboy’s career. Let’s finish up with a few quick questions about reading. What book or author inspired you to write? Oh, wow. ALL of them? I joke, but it’s hard to point to any single point of inspiration. But the novels of Michael Moorcock were immensely influential on me from high school onwards, and reading Matt Wagner’s comic book series Mage: The Hero Discovered in my senior year was probably the single greatest influence on my development as a comic writer (which is why I’m thrilled that we’re finally getting the long away third installment, Mage: The Hero Denied). I just started reading Grady Hendrix’s novel My Best Friend’s Exorcism, and as a child of the 80s who grew up immersed in pop music and horror movies, it is hitting me right between the eyes. Highly recommended! Previous Check Out the New Artwork at Waverley’s Vinyl Listening Station by Duncan Weller!